In what can only be called an early, very bizarre holiday present to us, viewers throughout North America caught a glimpse of Labelscar tonight (12/23/09) on The Late Late Show With Craig Ferguson. Yes, that Late Late Show With Craig Ferguson. The bizarre sequence of events unfolded completely randomly and with perfect timing. Read on and you’ll see what a strange and random occurrence it actually was. Earlier today, I came home for the holidays to the house I grew up in, in Janesville, Wisconsin. The night was less than remarkable, and considering we’re having an ice storm I had little plans other than a date with the TV. However, my mom recently removed the analog TV from my room; it was hooked up to rabbit ears and wasn’t much use after the DTV transition earlier this year. So, I hooked up the DTV tuner on my laptop to the same rabbit ears, and presto – I had basic TV again. I kept the TV on in the background all night while I goofed around on the computer, and around 11:30 I tuned in to The Late Late Show With Craig Ferguson on CBS. It’s a pretty good show – I like the guy’s sense of humor, personality, and delivery. Plus, he’s Scottish, and so am I, so I decided to sort of pay attention and leave it on in the background, and maybe catch a laugh or two. 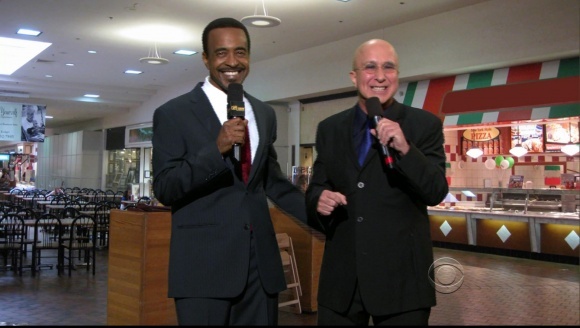 About halfway through the show, a segment appeared featuring the show’s resident comic field reporter and SNL alum Tim Meadows. The setup had something to do with last minute holiday shopping, and Craig mentioned that Tim was on location at the Mall of America. At that point, they cut to Tim, in front of a green screen, and behind him was – sure enough – a scene from a typical mall. Of course, I naturally perked up as soon as I heard “Mall of America” and watched a little more intently. They bantered about last-minute holiday shopping and were making some predictable jokes, and just when I was about to pull away I noticed something about the mall behind Tim that I couldn’t quite place. It didn’t look like the Mall of America to me at all, and I’ve been there many times. I figured he could be in a different part of the mall, or it could be a different mall altogether, but something about it really got my attention and looked very familiar. Then it struck me. 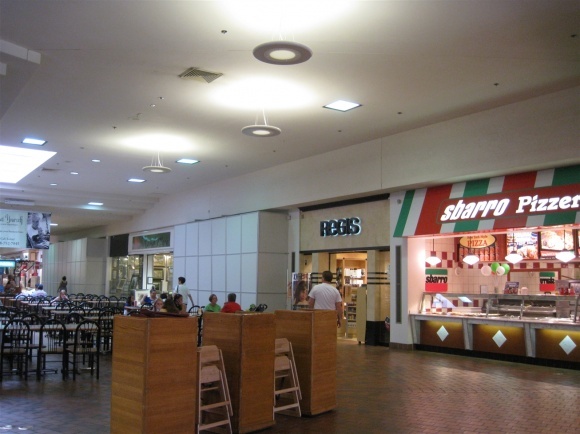 I noticed an obvious Sbarro on the right side of the frame, which they covered up in Photoshop, and I immediately thought of the Sbarro in the Janesville Mall. I knew that a Regis hair salon was to the left of the Sbarro in the Janesville Mall, and when they cut to Tim again I noticed that the Regis was there too, and the floor looked very similar as well. Because I was watching the show on my laptop using a DTV tuner and software, I snapped a couple stills of the segment, still unaware of what I was about to discover next. Could it be possible that this very same setup exists in a different mall other than the one here in Janesville? Maybe, but something still seemed very eerie to me. If this was the Janesville Mall, appearing on national television in this strange comedy segment, how did they get this specific photo? Why would a random photo like this exist for the Janesville Mall? That’s when I went directly to the Labelscar post for the Janesville Mall. I still figured that there was no way that CBS would just yank a picture off my site and use it on a popular, nationally-aired program, when the page finished loading and there…it…was. The exact same photo I took in 2008 was staring at me in both my web browser and on CBS. It was almost unreal. So what gives, CBS? Why’d you use my photo? Is someone on the Late Late Show staff a fan of the site? If not, how did you even find it? Also, why did this happen while I was sitting in Janesville, where I can actually see the mall out the window? On top of that, it’s not often that I sit and watch TV using my laptop’s DTV tuner, let alone that I’m even up this late. Hope you guys get as much of a kick out of it as I did. It was a really neat coincidence and I’d like to thank all the forces of randomness, kismet, Santa Claus or otherwise that brought it to my attention. That’s just double and triple weird. Shouldn’t they have asked for permission? The bottom of your page does say ‘Copyright (c)2006-2009 Jason Damas and Ross Schendel. All Rights Reserved.’ It’s not like they cheated you out of money or anything, but I’m betting they just Google Image Searched ‘mall of america’ and your picture came up. It seems they should have at least asked permission. Figures that Hollywood would get angry when someone ignores their copyrights, then proceed to ignore the copyrights of others. @Keith, technically, you’re right, but these things happen all the time. Forbes took a photo of ours recently for one of their most miserable cities features (Flint, MI) and similarly gave no attribution. It’s not actually anything uncommon, especially nowadays, and I don’t mind that much since they weren’t exactly taking anything away from us. But yeah, I know what you mean. @Caldor, I thought it was hilarious, but it just shows the popularity of this website. 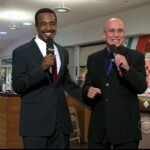 Considering that the creators of Deadmalls.com were on that film Malls R Us, perhaps one day, you might find yourself talking on the Late Late Show. @Caldor, Always remember there is no such thing as bad press. Talk about your odd coincidences..that’s pretty strange. I laughed out loud when I read your story. I guess I can say congratulations? I love it! I can’t believe a magazine as large as Forbes took your photo without attribution. I think you all should have been paid because after all they saved the money they would have had to pay a freelancer or staffer to take a photo. I guess I am old-fashioned but not stealing other peoples’ work was the first thing I learned in my Journalism 101 class! I really enjoy your site and wish you both a happy new year! The unfortunate thing is once you put something on the Internet, it’s basically fair gain. 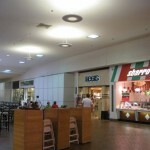 I once had one of my Sunrise Mall shots “stolen” by a YouTube movie maker with only a passing mention to Labelscar. No response was made when I brought it up in a comment. I don’t really like Letterman, he’s a weirdo so it makes scene he would use a photo from Labelscar, which makes it even weirder! Bravo! Someone using your artistic work without permission, whether posted on the Internet or not, is against copyright law. The creator has exclusive right to the work. You should contact the show. At least for kicks to see what they say. As someone that gets his photos blogged and reused a lot, I’m not usually one to bring up copyright, but this is such an egregious copyright violation especially by a major media corporation. I would at least right a letter for some restitution and see what happens. How very random! I’m with the others here though, Labelscar should have gotten some sort of mention, a caption, something. Stealing someone’s photo is just wrong, and to not even mention where it was stolen from is even worse. I love the Late Late Show (but missed that particular episode). I’m guessing they chose your website because they needed a picture without too many people in the background. It looks weird if you have a background with a bunch of stationary people in it. Could you put something on the recent Macy’s closures of 2010? Thankfully, when one person recently wanted to use my uploaded pics of Antioch College in SW Ohio, I was very happy the person private messaged me his request, and was more than glad to give him permission to do so. @Allan, ahem, the incident was 4 years ago in 2006. Ah the neverending tradition of getting the year number incorrect after the start of a new year….